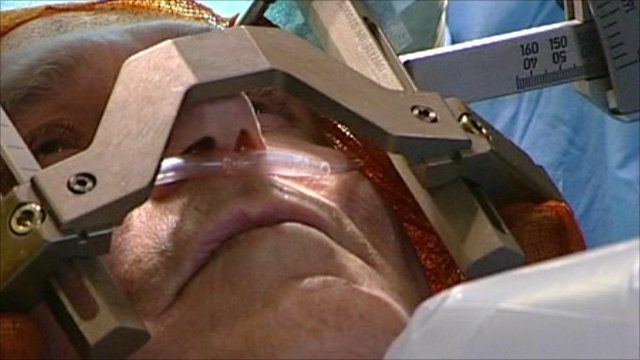 A radical technique which involves drilling an electrode into the brain of patients while they are awake is being used to treat people plagued by excruciating headaches. Deep Brain Stimulation is proving highly successful in helping reduce the frequency of what are known as "cluster headaches". Our medical correspondent Fergus Walsh followed one patient going through the procedure. His report contains some images of the surgery.